When you review vehicles for a living, redesigns are exciting. They help add distinction and differentiate the numerous vehicles we see all year. Sometimes it’s all a big blur – especially in the crossover segment. My tester this week is certainly a stand out within that segment. 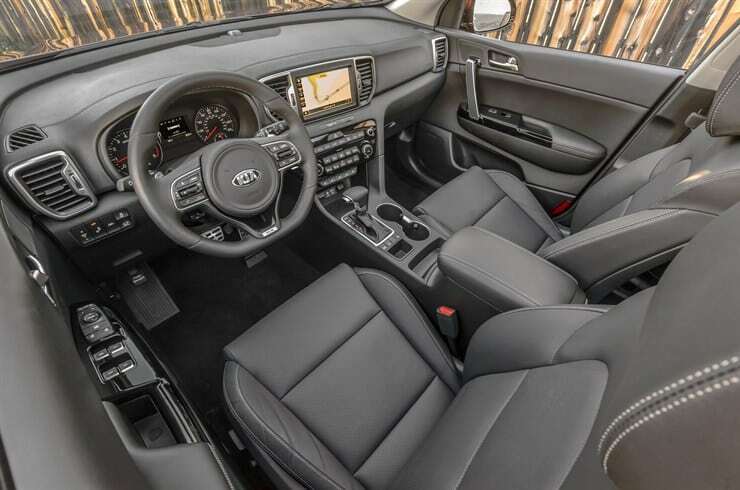 Redesigned for 2017, the Kia Sportage has a bold, modern look combined with a significantly improved interior and tweaked powertrain. 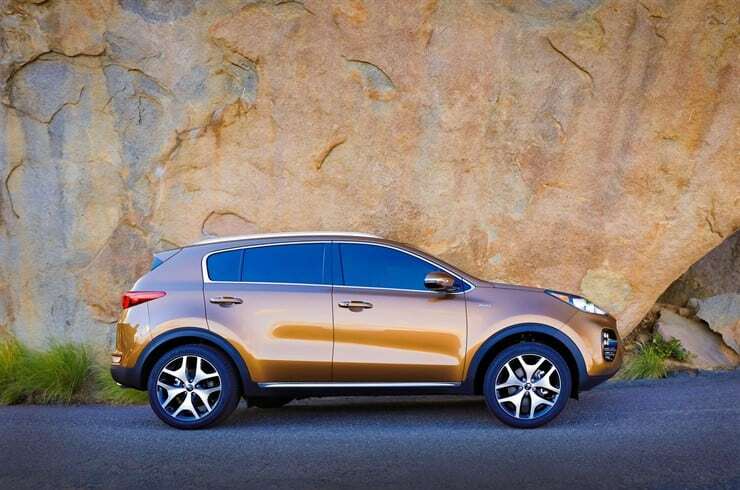 On looks, the Sportage is curvaceous and fun. The redesign of the exterior is bold. The long, sloping headlights run more than halfway up the front end. The narrow look flows well with the additional curves and indentations on the hood and side panels. As such, it seems well planned by the engineers. The grille is understated and simple. It lacks the style and flare of the rest of this compact crossover. 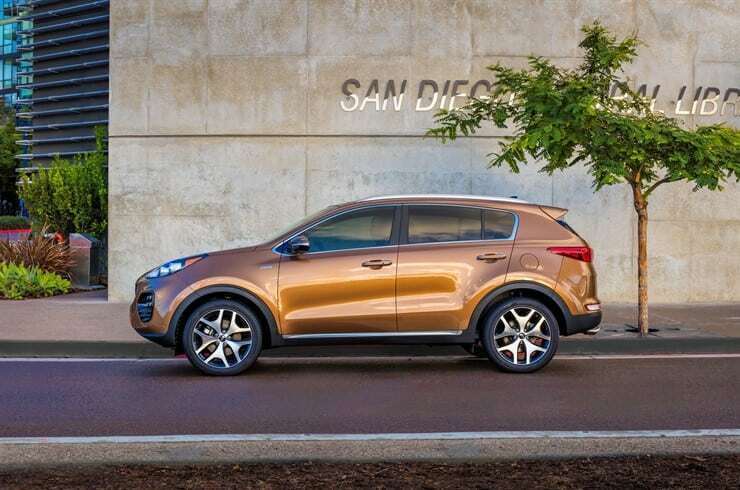 The back end is by far the best side of the Sportage. The bulbous back end, combined with the large C-pillar and elongated back tail lights make it quite attractive. Flared out wheel wells give it a wider posture and the rear spoiler ties it all together in a handsome package. 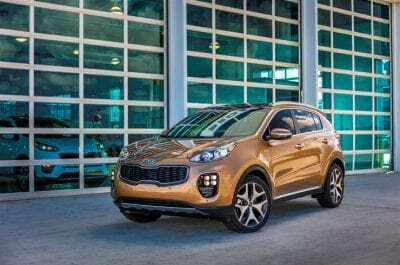 As fantastic as the Sportage looks, I don’t think Kia went far enough in regards to improving the powertrain. 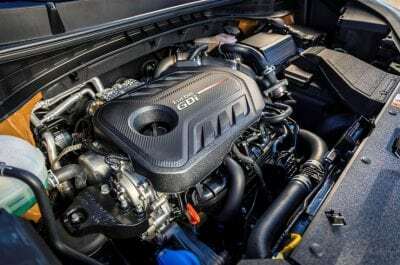 There’s two engines, a tame 2.4-liter 4-cylinder engine which makes a mere 181 horsepower and a more exciting 2.0-liter turbocharged 4-cylinder which cranks out 240 horsepower. This engine was in my tester, the Sportage SX and it made for a fun ride. It was punchy at all the right times, quick off the line, and good highway speeds. The only real disappointment is the inclusion of a six-speed automatic transmission. This seems dated for a redesigned vehicle in 2017. More gears would’ve improved the overall performance as well as the sub-part fuel economy. The turbo lag was noticeable with this transmission, which seemed outmatched at times. All-wheel drive is an option, but my tester had front-wheel drive, which comes standard. The ride is smooth and comfortable. I’d still prefer AWD for more confidence in all weather conditions. With quick acceleration, the Sportage with FWD lost grip at times on slippery roads. 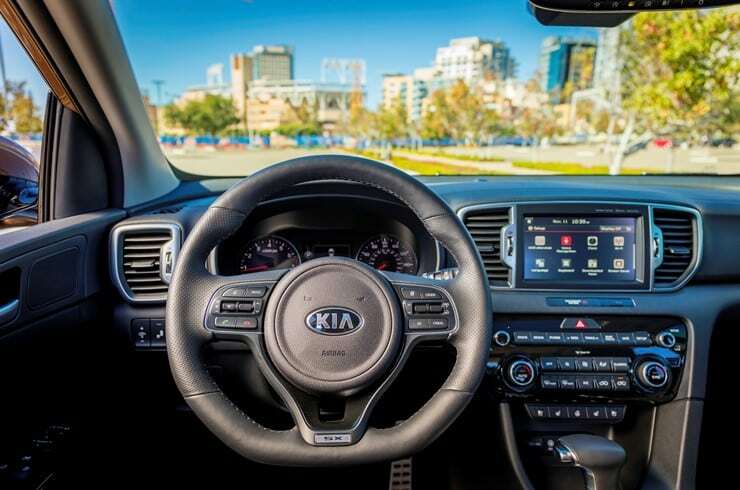 Inside is where this new Sportage is noticeably better. The previous generation was criticized for having a cramped back seat and sub-par materials. None of that is present inside the 2017 Sportage. Materials are improved with a soft dashboard and very little hard plastic to be found. Even the door panels have soft materials. 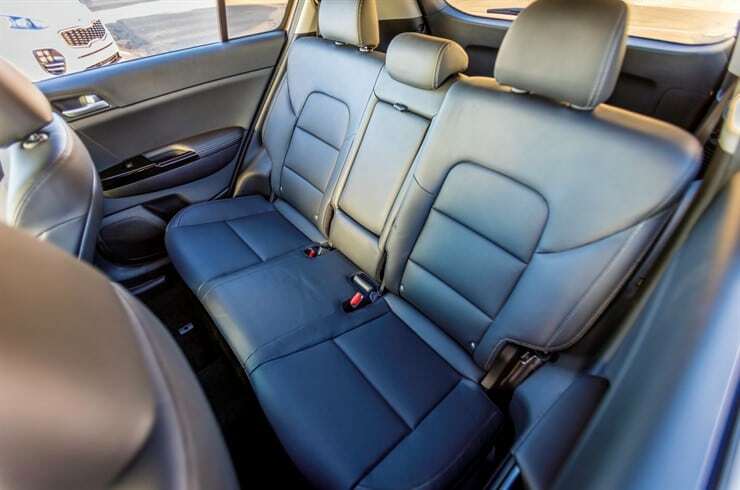 The back seat has more legroom than ever before. Three passengers will now fit comfortably, without a loss of leg or head room. Perhaps shoulder room, with three adults in the back seat could pose a problem, but otherwise, as a family vehicle, it is now far superior. Of course, all this interior space improvement does come at a sacrifice. 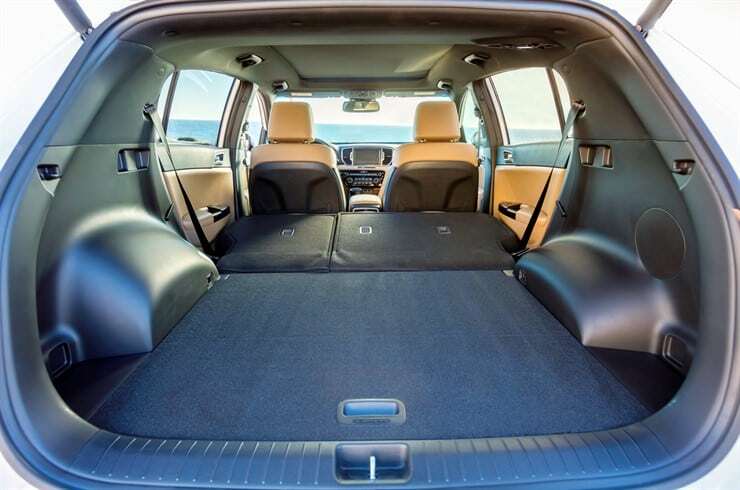 With the rear seats upright, there’s 30.7 cubic feet of cargo space, which is far below the segment standards. Fold the rear seat flat and that area improves to 60.1 cubic feet. The Sportage has good, not great infotainment technology. 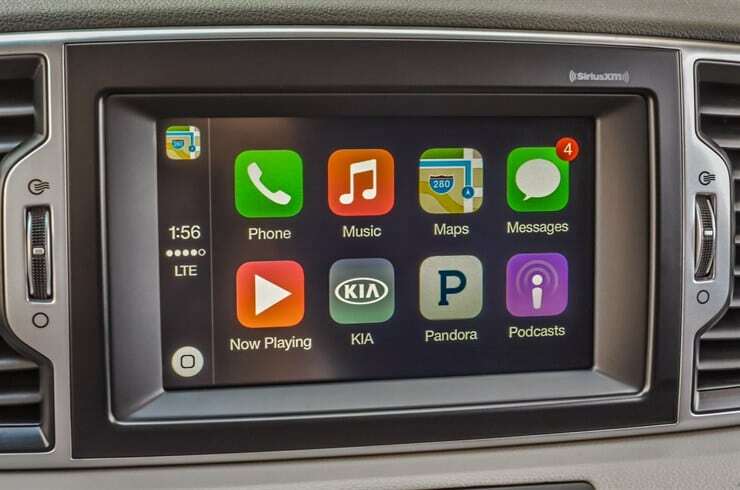 The Uvo infotainment system is easy to manage and navigate on a 7-inch touchscreen. 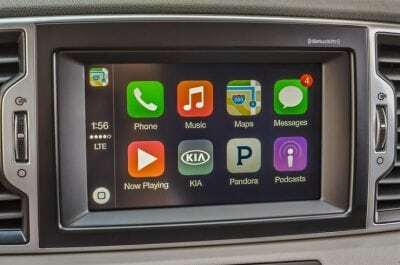 It integrates with Apple CarPlay and Android Auto. The touchscreen is slow to respond to touches which can lead to frustration. Whatever credit it earns for being intuitive, it loses for being so frustratingly slow to respond at times. The Sportage has three trims only, which is a win for the consumer, as they won’t be bombarded with endless options and trims. My tester was the top-of-the-line SX trim which is the only trim that offers the turbo engine. 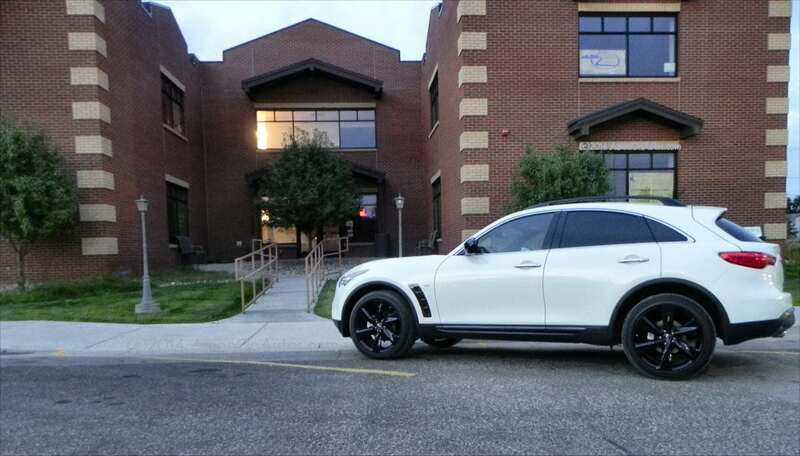 In addition, it includes 18-inch wheels, a roof rack, glossy-black grille, heated leather seats, and a leather-wrapped steering wheel. 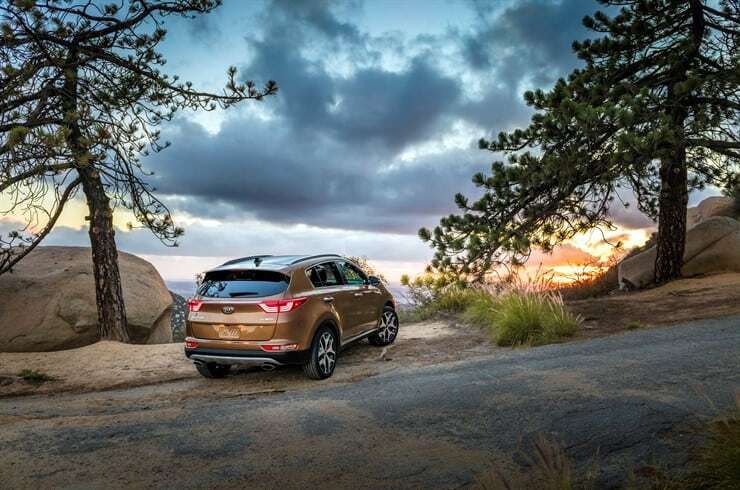 The base LX with FWD has a starting price of $22,900 making this improved crossover competitively priced. The SX with FWD has a price of $32,500 making this a far more expensive option for the consumer who must weigh the options of the value of the turbo engine and the other niceties that this trim brings. 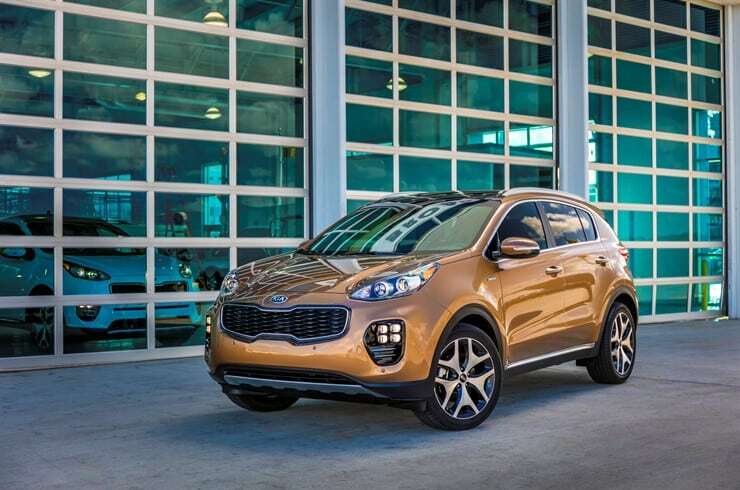 The 2.4-liter Sportage has an EPA rating of 23 mpg/cities and 30 mpg/highway. The turbocharged 2.0 with FWD has an EPA estimate of 21/26. In a week’s worth of driving, I averaged 22.8 mpg. This is sub-par for a small crossover. 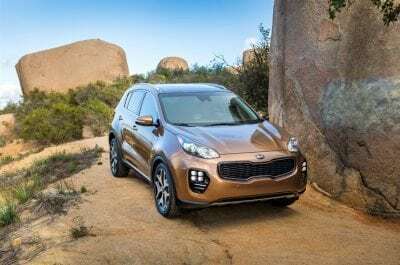 While Kia made significant improvements on the Sportage this is an area that will surely work against them within this ultra-competitive segment. 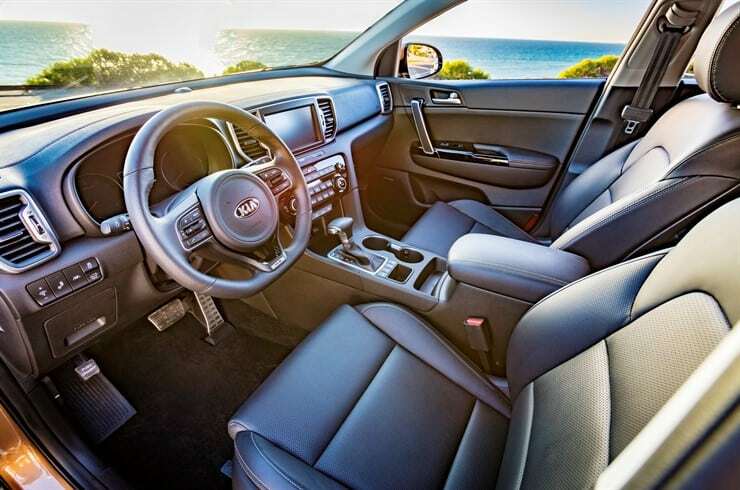 Though not flawless, the 2017 Kia Sportage is remarkably better and much more competitive. It drives better, looks better and is more comfortable.